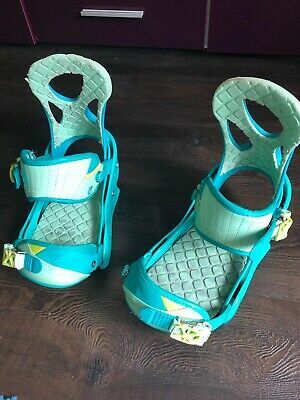 Ladies Burton Stiletto RE: Flex Bindings Medium. Condition is Used. Some wear as seen in photo s.